With the current El Niño, which is a periodic warming of the central and eastern tropical Pacific Ocean, there is some hope of such an extreme drought easing this winter – the time of year that El Niño has its biggest impact on weather in the U.S.
El Niño usually increases the probability of more precipitation in Southern California during the winter, but in Northern California, there's no reliable connection. However, the very strong El Niños of 1982-83 and 1997-98 managed to produce more precipitation than normal statewide, and the current El Niño is similar in strength. Even so, a single winter with above-normal precipitation will almost certainly not be enough to lift the entire state out of drought. According to the Climate Predication Center (CPC), parts of Northern California need more than 20” of rain for the drought to be eliminated. 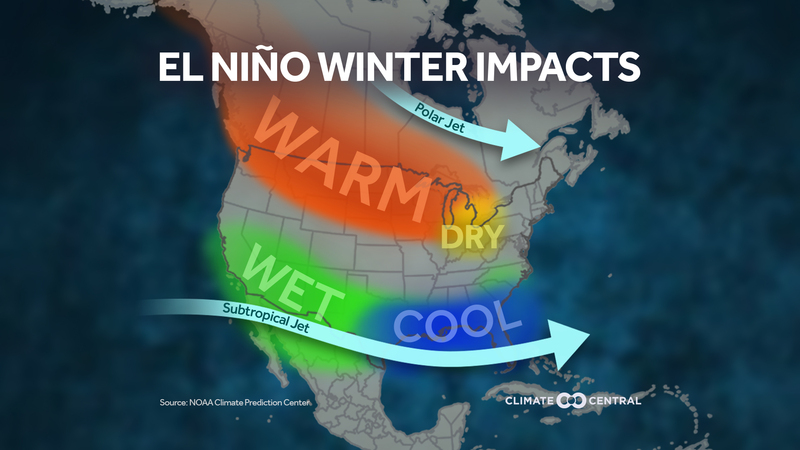 For an update in the El Niño intensity, consult the monthly NOAA diagnostic discussion.